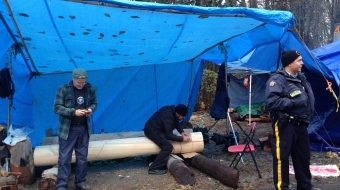 Each day the protest Burnaby Mountain recreates itself. There are consistencies: deep mud, moments of confusion, courage, grace, tears in the eyes and a sense that history is being made. 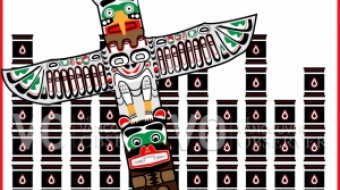 Enbridge will present its case as the final hearings for Northern Gateway begin this morning. Don't be relieved just yet: the written submission reveals that Enbridge Northern Gateway is still Premier Christy Clark's baby. Controversial oil sands pipeline project is the opposite of "environmentally sound", Greenpeace Canada's climate campaigner says. "I just feel like TransCanada has lied to me from day one," landowner Betty Sue Scott told the surveyor in a kind but firm tone. 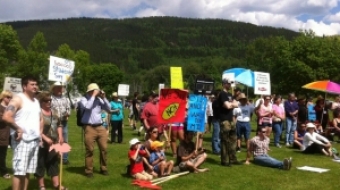 Pushing Enbridge pipeline through without First Nations' consent? 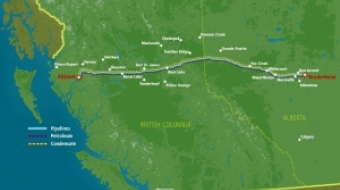 First Nations don't have a veto on the Enbridge Northern Gateway pipeline, but is it possible to get around their opposition? NASA climate scientist James Hanson warns that Canada's ongoing development of tar sands oil could cause irreversible climate change to the planet. 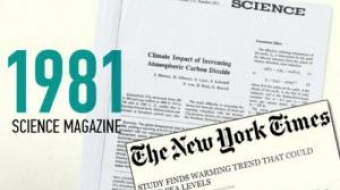 What changes in Canada’s climate pollutions have occurred since the first Earth Day 42 years ago?